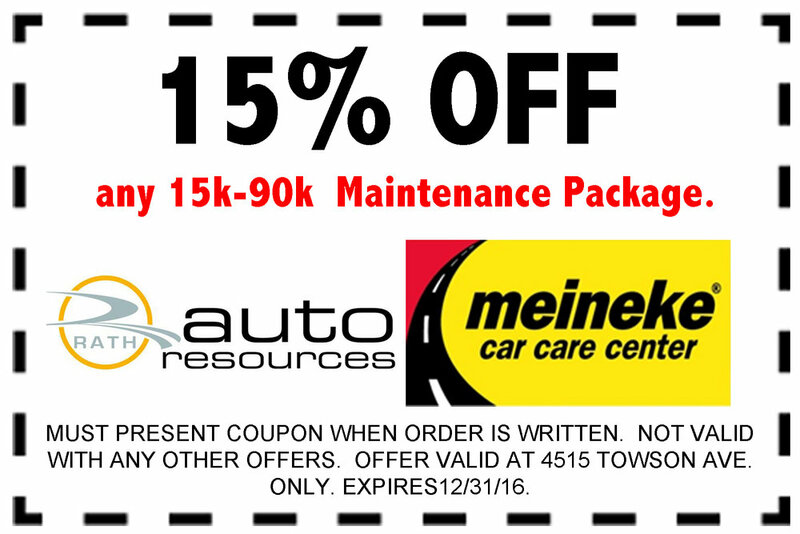 Rath Auto Resources and Meineke Car Care Center (4515 Towson Avenue location only) is offering 15% off any 15,000-90,000 mile maintenance package. Offer is valid until December 31, 2016. Offer is not valid with any other offers. Click here to print.